Grupo Fantasma-Song of the Day on KUTX, Austin! 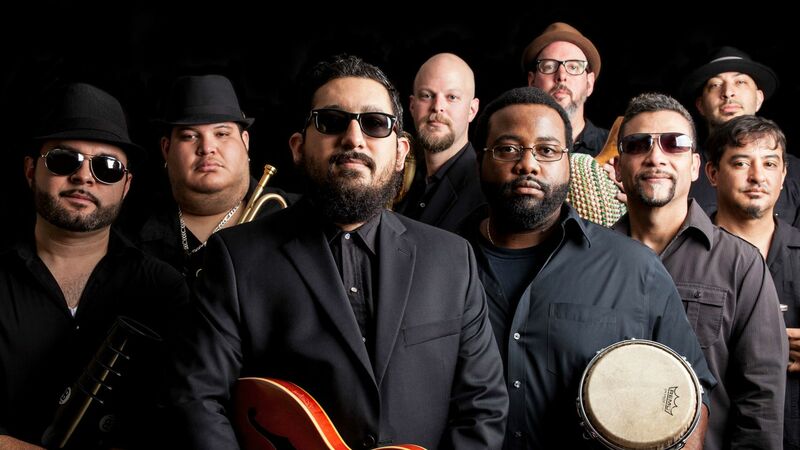 Grupo Fantasma “Esa Negra” was selected as KUTX 98.9 song of the day! The song is a Tex-Mex inspired cumbia featuring The GRAMMYs award winning accordion virtuoso Joel Guzman off of the album “Problemas” which will be available Oct. 30th on Blue Corn Music. Grupo Fantasma’s Beto Martinez and Greg Gonzalez are KUTX guest DJs on Saturday, October 17 at 6 p.m. The band will be performing live in Studio 1A on Tuesday, October 20 at 9 p.m., and we will all be celebrating the album release at The Mohawk Austin on Friday, October 30th!